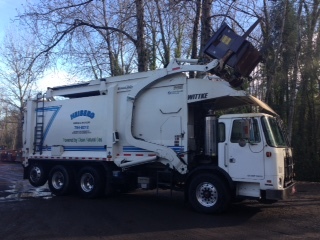 Heiberg Garbage & Recycling (HGR) is not only picking up refuse and recyclables in the Portland area, it’s now cleaning up the metropolitan air shed and helping with noise reduction. 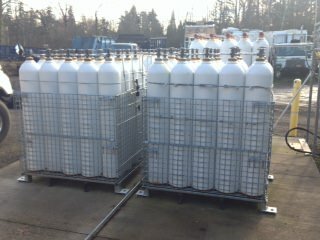 HGR currently operates 11 compressed natural gas (CNG) fueled garbage trucks and it’s own private CNG fueling station in Milwaukie, Oregon. This is a big step in the right direction for a locally family owned and operated company. Although there is a large initial capital investment to make this change, HGR feels our customers and environment are worth it. where a cleaner fuel is less expensive, better for our community health and air quality all while reducing global warming gas emissions by as much as 25%. Fuel cost savings of up to a dollar, per gallon equivalent, add up quick when your typical refuse truck runs 12,000 miles per year, at between two and three miles per gallon. 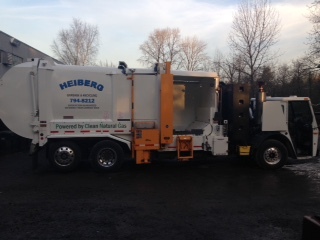 By the end of 2015, Heiberg’s CNG fleet will be displacing over 60,000 gallons of petroleum diesel annually (10 trucks @ 4,700 DGE/yr) with cleaner burning, lower cost, North American CNG. That amount will grow each year as new CNG trucks are added and will be over 100,000 gallons of diesel displaced each year in 2020. 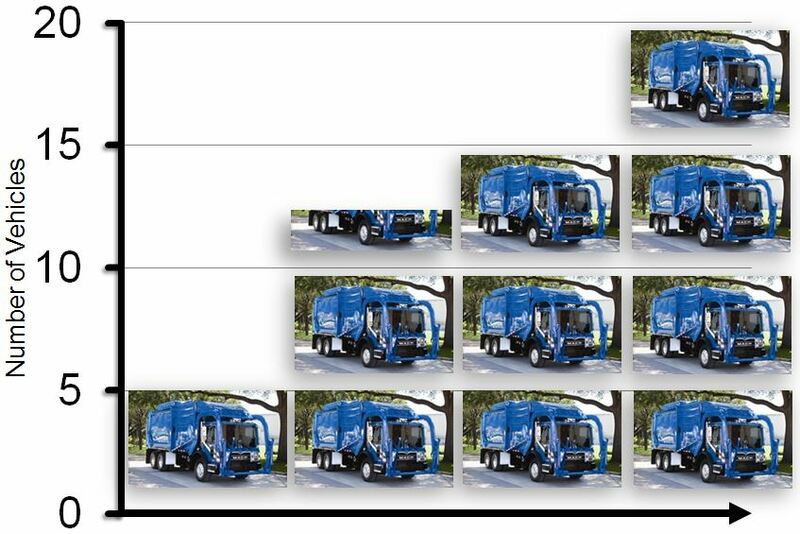 At this fleet average fuel use, the carbon dioxide (CO2) emissions equivalent (global warming gas) reduction per truck is estimated at 1 ton per year. Nitrogen oxide (NOX) emissions reductions are estimated at just under a half a ton per year per truck while carbon monoxide (CO) reductions are expected to be over 150 pounds per year. Other pollutant emission reductions include particulate matter and volatile organic compounds. 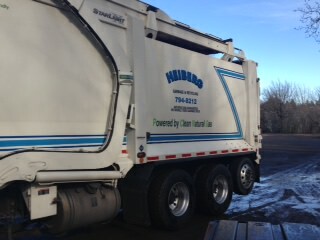 HGR was one of the first collection companies in Oregon to operate a CNG truck. Early adoption and promotion of a cleaner fuel fleet will help accelerate and support alternative fuel adoption by other interested fleets and private parties. The site of HGR’s fueling station, and planned expansion of fueling capacity, is ideally situated in a light-industrial area where roadway infrastructure provides good access and where numerous heavy and medium duty fleets operate daily. Many of those may soon choose to use this site for fueling or see a viable model for converting their fleets to use CNG or other alternative fuels. CNG trucks in the fleet are proving quite reliable and all indications are that these cleaner burning engines are reducing our maintenance costs and will have longer engine life. Customers are particularly interested in seeing local diesel particulate and hydrocarbon emissions reduction in their neighborhoods. HGR is a model of how that can be economically accomplished while providing the same great service. And, customers will see and appreciate it every day their collection service is provided. As the HGR fleet grows, the cumulative petroleum diesel displacement over the next five years of some 450,000 gallons will improve domestic fuel security, reduce fleet operating cost and substantially reduce CO2, particulate and other hydrocarbon emissions. Annual natural gas rates provide a more stable fuel price than the volatility experienced in petroleum pricing that will benefit franchise agreements, reduce long-term costs for consumers and improve business cost forecasting. Even with petroleum diesel down to $3 a gallon, CNG still costs less when accounting for all the costs of fueling and maintenance.